Patricia Lawson joined Bell Baker in 2017. Patricia has been practicing civil litigation for more than 30 years, with an emphasis on insurance litigation, including property losses, oil spills and automobile accident claims, serious personal injury/wrongful death claims and conflict of laws litigation. Patricia is fluently bilingual, having obtained a degree in translation from l’Université du Québec à Trois-Rivières before attending law school at McGill University. She was the co-winner of the Montreal and Québec Bar Mooting Prize at McGill in 1985. Patricia was called to the Bars of Québec and Ontario in 1987, and retired from the Québec Bar in 2015. She is a member of the Carleton County Law Association, Canadian Bar Association and the Association des juristes d’expression française de l’Ontario. 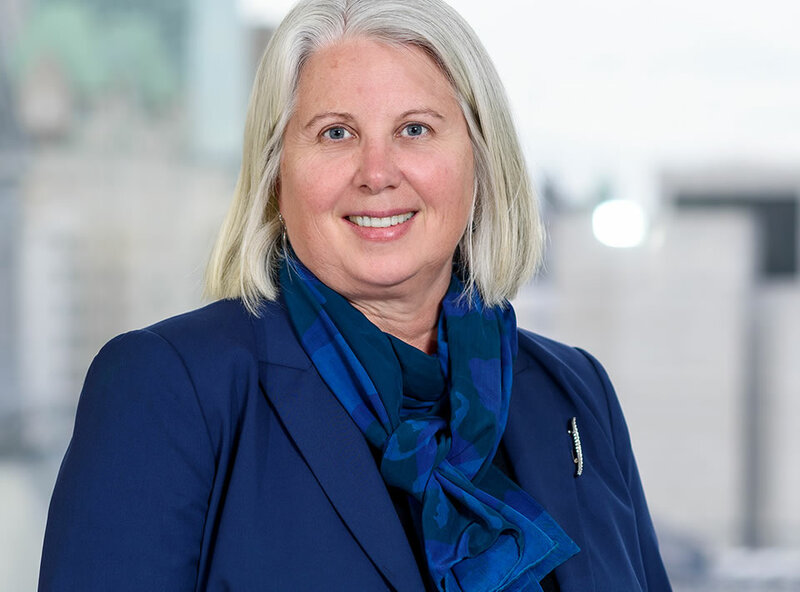 Patricia has extensive courtroom experience, including trial and appellate levels, in both Ontario and Québec. She has taught in the law clerk programme at Algonquin College and given presentations on conflicts of laws between Québec and Ontario as well as insurance matters. She has been an active volunteer in many minor sports organizations over the years, including serving as coach on her sons’ soccer teams and several years as manager of their hockey teams. Sports is a keen interest in her family.